'It's the economy, stupid!' 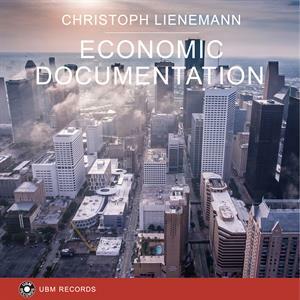 The tasteful electronic tracks are suited for reports and news about anything to do with business, economy, fiscal politics and banking. Moods ranging from neutral to urgent. Hesitant, slightly dark track with repetitive synth bass. Ticking hihat pattern and dark synthesizer layers create images of speculation, potentially shady business transactions and very serious business. Lively and pressing. Rush hour on busy Wall Street meets contemporary electronic dance music. With corporate strings and a relentlessly forward moving beat. Starts like an ambient sounscape but quickly picks up energy. Dark brooding undertone expressing danger and threat. Metalic sounds, strings and epic drum rolls. No-nonsense track for images of financial crime as well as hacking and IT-related dangers. Sophisticated electronic bed for business news, reports on financial, corprorate and political issues. Not too dark. Mid-tempo electronic atmosphere that starts out rather mellow but gets lighter. Great for news, business magazine, corporate presentations. The soundtrack to images of international markets, fiscal politics and economics. Busy, unstoppable, serious. Neutral corporate soundbed for news, product presentations and digital/ design content. Busy electronic track for digital, econmic, IT and business content. Great for news and reporting. Gloomy, tense and under high pressure. Synthesizer, beat and drum bits for a dramatic overall sound. Time is ticking away…Colorful electronic track that gets more and more intense and epic as the pressure is rising. Retro arpeggios are joined by epic synths and fat bassdrums. Heavy electronic track somewhere between action on the stock market and on the dance floor. Lively neutral sounds for corporate films, product presentation and political debates. Confident, mildly aggressive, straightforward newsbed for reports on financial crises or a business-related showdown. Steady beat and lush synthesizers create a neutral to positive sound. Sharp synth sounds and lively beat. Neutral, great for news and voice-overs. Bassy and slow underscore for somewhat threatening or negative images of trade, economy and business. Busy like a middle-eastern market. With drums and flutes, influenced by Arabic music and Western film scores alike. Fusion of Eastern and Western sounds for images of economic development in the Four Asian Tiger states and other Asian countries.